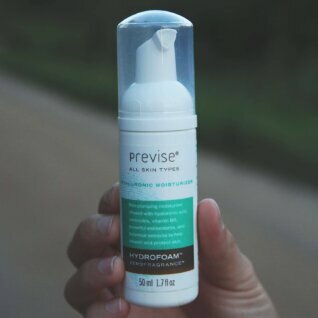 Our sulfate-free and fragrance-free hydrating facial cleanser is ideal for sensitive skin. Purify Marine Cleanser removes dirt, dead skin cells and makeup without stripping your skins’ essential oils. 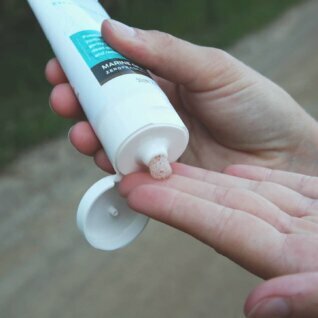 Helps keep your skin hydrated and glowing. We added zero essential oil. We chose natural marine and botanical ingredients that have no perceivable aroma. Use Purify Marine Cleanser as your daily use face wash to remove dirt, makeup, and dead skin cells without stripping essential oils. Our sulfate-free, purifying cleanser contains a blend of botanicals and a powerful marine algae extract that hydrates, softens and sooths your skin. 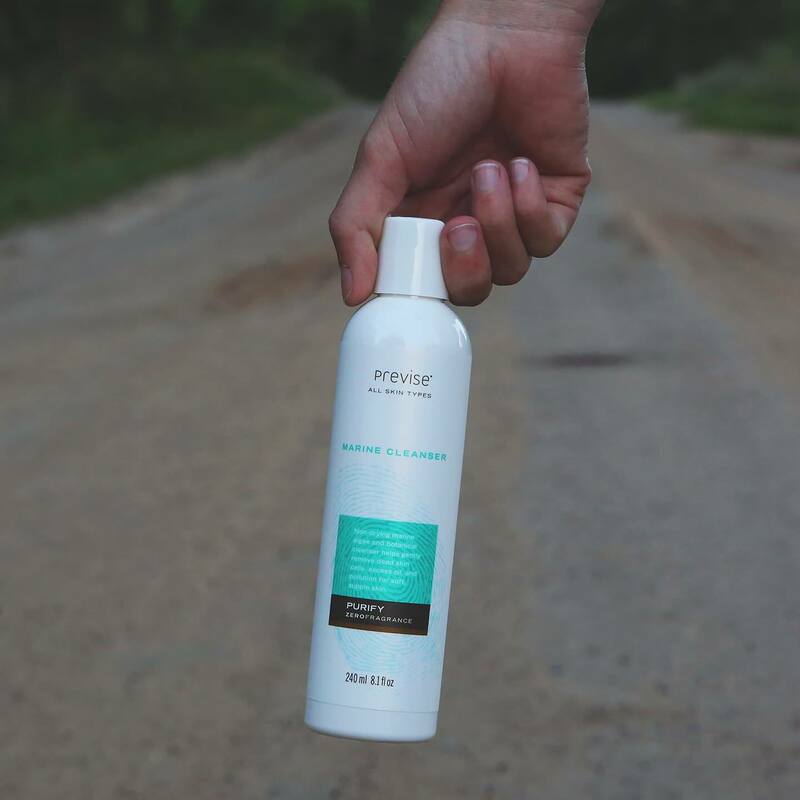 Naturally unscented and fragrance-free, our purifying cleanser is ideal for sensitive skin. We added zero essential oil. We chose natural marine and botanical ingredients that have little or no aroma. Based on trials there is no perceivable aroma to the ingredients we’ve selected, which may help you avoid nausea, which often accompanies pregnancy. 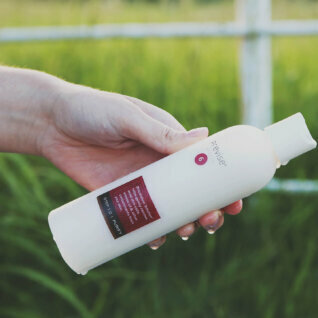 Purify Marine Cleanser is free of parabens, petroleum, mineral oil, synthetic fragrance and dyes, xenoestrogens, PEGs (polyglycols) and phthalates. • Chondrus crispus (carageenan) is a species of red algae which grows abundantly along the rocky parts of the Atlantic coast of Europe and North America. We use the whole plant extract, which is a long chain linear polymer comprised of alternating 3 and 4 D-galactose derivatives. The long chains periodically coil around each other creating spaces that trap moisture. 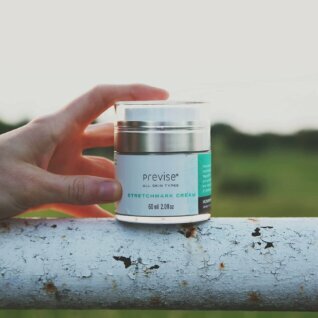 Bound moisture instantly hydrates and cools the skin. 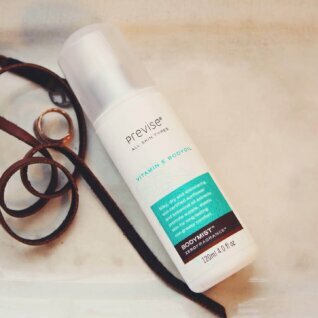 Replace your current cleansers with Previse Purify. 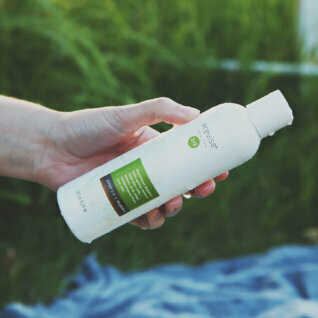 Purify can be used in the shower or at your sink-top. If using in the shower please apply Purify at the end of your routine for maximum benefit. • Wet your face with warm water. Squeeze a small amount of Purify, no more than 1/2 teaspoon, into the palm of your hand. • Emulsify the solution by gently rubbing your palms together. 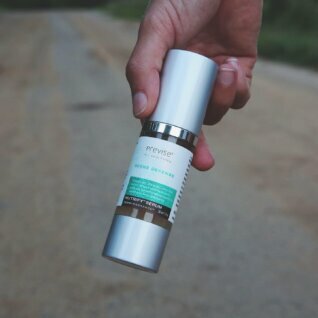 Purify will not lather like a cleanser, and is safe for all purposes including removal of oxidized skin cells, make-up, airborne and water pollutants. • Using your natural fiber facecloth or fingertips gently massage Purify into all areas of your face and down your neck. These areas receive the most exposure to the elements – especially UVA and UVB radiation from our sun. We suggest you massage Purify for approximately one to two minutes to achieve maximum benefits. 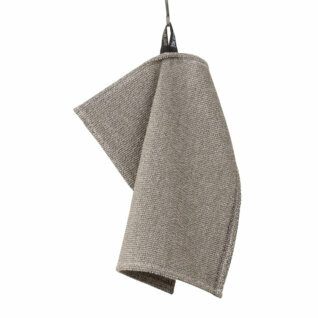 • Using a natural fiber towel gently pat your face dry. We recommend our HydroFoam or Nutrify Tonics to follow. Love the way my face feels after washing it with the Marine Cleanser. It is awesome.